This weekend I was lucky enough to win this awesome Samuel Adams Weber charcoal grill. Grilling and brewing really are two activities that go hand-in-hand. If you are a serious cook or grill master, chances are you are particular about your food. Similarly, if you brew you are particular about the beer you drink. There is certainly overlap between the hobbies of grilling and brewing. The Meat Smoking, Curing and Sausage Making thread on Homebrewtalk is very active. I remember we had a charcoal grill when I was very young before my dad upgraded to gas. Gas is certainly quicker and easier, but you can't match the flavor of charcoal. I know enough about grilling to know that a Weber invented the modern grill and is still the Cadillac of grills. After I picked up the grill at Henry's I spent a good part of my Sunday afternoon watching Youtube videos about grilling. I learned how to start the coals without lighter fluid, the difference between direct and indirect heating, how to grill and smoke different types of food, and how to clean and care for the grill. It is similar to the wormhole I fell into when we first started brewing. Living in an apartment without access to a yard, my grilling misadventures will have to wait until we move. Apartment living suited me perfectly well for a long time. It's cheaper and certainly less aggravating. I liked having bars and restaurants within walking distance. Now that I'm more into brewing and (hopefully) grilling than going out, I'd like to move at some point. Jennie owns the kitchen, and barely puts up with me using it to brew. It would be nice to have my own space to cook. When it's made right, a fresh burger off the grill might be my favorite food. Adding some homebrew to the drip tray during indirect heating will certainly give your food a little something extra. A brew day with fresh food off the grill, what's better than that? The US of IPA is a project where I will brew four regionally inspired American IPAs. I will be pouring all four at the North Shore Brewers tent New England Homebrewers Jamboree. Jamboree is an event open to the public to benefit Make a Wish. Tickets are available here. Regional IPA sub-styles are a funny thing. There are and have been brewers on the West Coast making pale, hazy, and hoppy ales not unlike New England IPA. 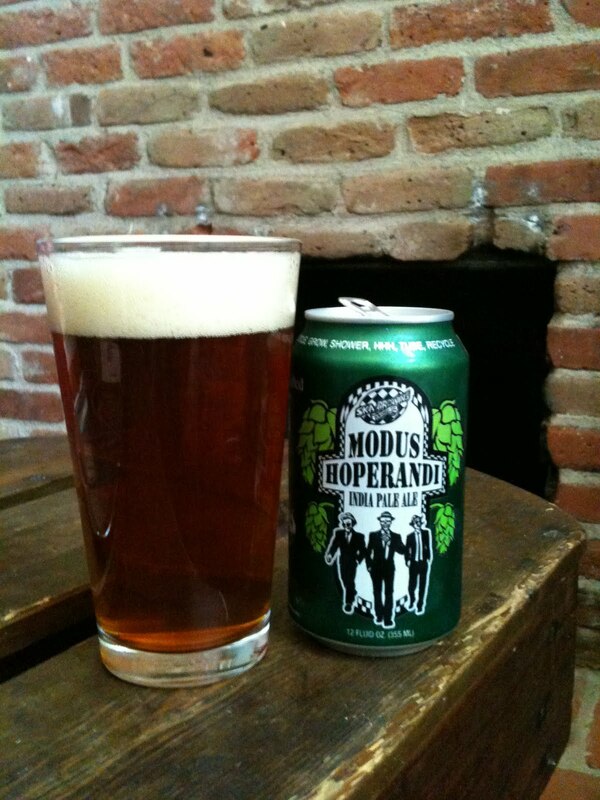 One of the most highly regarded IPAs in the Midwest, Modus Hoperandi by Ska Brewing is as dark in color as any East Coast IPA. For a while on the East Coast any IPA that was aggressively hopped and/or bitter was marketed or described as a "West Coast IPA" as a way to differentiate the beer from the darker, more balanced, and more English in character IPAs that were prevalent on the East Coast. Somewhere along the line I had it in my head that a West Coast IPA was supposed to be bitter. There certainly are prominent examples that are like Sierra Nevada Tumbler, and most of the IPAs produced by Stone. 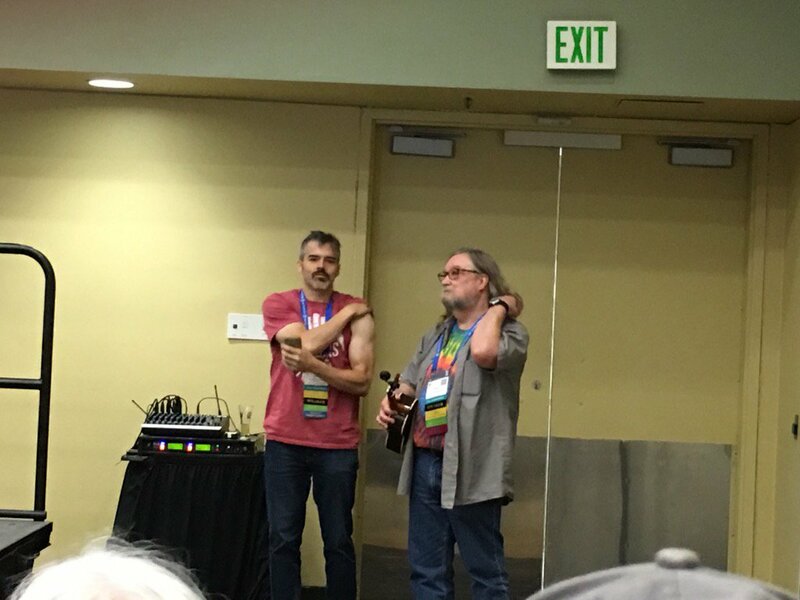 I was surprised during the Regional American IPA: What's Up with All the Crystal Malt seminar at Homebrew Con when Paul Sangster, co-owner of Rip Current Brewing in San Diego described the IPAs in San Diego as being low in bitterness and high in aromatics. I actually stepped to the microphone during the end of the seminar for the Q & A session to ask about this dichotomy. Sangster's short answer was that the bitter West Coast IPA was falling out of favor to a degree, at least in the San Diego area, as less bitter and highly aromatic IPAs are becoming increasingly popular. It reminded me of how hazy New England IPAs are gaining in popularity compared to the traditional East Coast IPA. The first batch of Broken Fist IPA was so good and so well received by everyone on Memorial Day weekend the consensus was that I had to brew it again. During the seminar the characteristics of IPAs in San Diego Sangster described matched Broken Fist perfectly. I had brewed an example of the style without even knowing it! It is the perfect West Coast IPA to brew for my US of IPA project. . I scaled up the recipe to a six-gallon batch. I plan to bring three gallons of each IPA to jamboree, but I want to have plenty of Broken Fist to share with friends who won't be at jamboree and to enter into competitions. The only way I could brew six gallons in my apartment would be to brew two separate three gallon batches. That would be an eight to nine-hour brew day. No thanks! I texted Andy about having another brew day, but only a few weeks after he brewed The Commonwealth vs. Chalifour, and having a newborn, it was probably too soon to for another brew day at "Cabot Street Brewery". Luckily, Adam loved the original Broken Fist so much, he volunteered his backyard. I packed up all my gear just like I had for the North Shore Brewers beer camp. I made a few additional tweaks from the original recipe for batch number two. I was also able to buy eight ounces of Citra hops for this batch, while I had to make due with only two ounces for my previous three-gallon batch. I want this batch to have an even more assertive hop aroma. Beyond the additional dry hops, I am increasing the bitterness just a little bit as I thought the only flaw in the first batch was that it was slightly sweet. For water I used all distilled and added salts to get the water profile exactly as I wanted it. I did this for a few reasons: I don't know the water profile for Peabody like I do for Beverly, the water in San Diego is very soft, and I wanted to be sure high chloride water wouldn't make the beer too malty. After loading and unloading all my gear, the brew day itself was okay. We spilled some spent grain which attracted a bunch of birds to Adam's backyard. I forgot to bring a thermometer, so I couldn't check my mash temperature and I estimated the temperature of my sparge water. I trusted Beer Smith's calculations and just let the mash sit in my modified cooler. After sparging I filled my eight-gallon kettle almost to the very top. I watched that kettle like a hawk to make sure the wort didn't boil over onto Adam's patio. I used a batch sparge. Essentially I added a little more than half of the water I needed to the mash, stirred the mash once it was done, drained it as quickly as possible, added my sparge water, stirred, and drained again. Whereas when I brew with Andy we will fly sparge, and slowly sprinkle the sparge water over the grain bed like a coffee maker. My original gravity and volume were both short. I ended up with a little over five gallons. I don't think I took the volume of hops into consideration enough. This was only my second batch with my cooler and propane burner. It is a matter of getting used to my system which will happen the more I use it. As I was running my wort chiller it started to sprinkle. I moved the wort into the fermenter, brought it home, and used my trusty swamp bucket to bring my wort down to fermentation temperature before pitching my yeast. One down, three to go! I will probably brew my three other IPAs in my apartment as three-gallon brew-in-a-bag batches. Hopefully the heat isn't oppressive when I do. Last year I brought one beer to the New England Homebrewers Jamboree, a Galaxy IPA part of the North Shore Brewers single hop project. For 2016 I wanted to bring more beer, and more importantly I wanted to bring some unique beers. As jamboree loomed over the horizon I racked my brain trying to think of beers that would stand out in the crowd. Standing out among the 100 beers the club will probably bring, plus beers poured by the other clubs there is not easy. My beers tend to be fairly traditional in style and ingredient selection. In comparison to some of the out-of-the-box beers other homebrewers make, my beer can sometimes feel boring to me by comparison. As we made the trip down to Homebrew Con I had a couple of ideas kicking around, but nothing I had put pen to paper to. Jamboree is the second weekend of September, it was getting close to time to plan out what I want to brew. During my Homebrew Con recap, I glanced over the seminars for the sake of brevity. I enjoyed all of the seminars I attended, but there were two seminars that gave me inspiration for jamboree. The very first seminar we attended was How to Brew Like An All-Star presented by Denny Conn and Drew Beechum. Denny and Drew co-authored the book Homebrew All-Stars, and run the blog Experimental Brewing. I wasn't sure exactly what the seminar would be about, but I had seen Denny on the BeerSmith Podcast several times and figured it would be interesting. The seminar was a blast! Denny and Drew have great rapport, and Denny kept breaking out his ukulele. Jennie got a kick out of it too. I think that's when she realized that she would have at Homebrew Con too. During the seminar, Denny and Drew broke down the four brewer personality types they identified. The Old-School Masters: These are brewers who focus on brewing and mastering classic, or at least conventional styles and techniques. The Scientists (The Process Nerds): These are brewers who continually tweak with and experiment with their brewing process. The Wild Ones: Brewers who will ferment anything fermentable liquid with any organism. The Recipe (And ingredient) Innovators: Brewers who continually push style boundaries, or use new and innovative ingredients. They had attendees take a short quiz to determine his/her personality type. Before finishing the quiz I would have thought I was a recipe innovator. I am always working on recipes. For every batch I brew, I probably have made four times as many recipes. However, according to the results I am an old-school master. The more I thought about it, the more sense it made. A recipe innovator is a brewer who invents the first pumpkin peach ale and that's not me. I came to realize that there is nothing wrong with being an old-school master, I am far from the only one out there, and being one doesn't make me a bad brewer. How to Brew Like an All-Star was a seminar I knew I wanted to attend from the beginning. Unfortunately, it is impossible to attend every seminar because there are several different ones going on at the same time. At 10:15 a.m. on Saturday there were about four seminars I was interested in. At the last second I decided to check out Regional American IPA: What's Up with All the Crystal Malt?. The seminar was presented by Favio Garcia, co-founder of Lost Rhino Brewing in Ashburn, VA; Carrie Knose, co-owner of Living the Dream Brewing in Denver; and Paul Sangster, co-owner of Rip Current Brewing in San Diego. This seminar was awesome! All three of the presenters discussed the regional differences in IPAs in their respective areas. They discussed the IPAs their breweries make, other prominent IPAs from their regions, and discussed some of the common characteristics of IPA within their region. To further illustrate the regional differences, each brewer brought an IPA to represent their region: Face Plant by Lost Rhino, Empty Trophy Case by Living the Dream, and What's Up with All the Crystal Malt?, a collaboration by Living the Dream and Rip Tide to represent contemporary West Coast IPAs brewed just for the seminar. Dummer and Alan's Stepchild in the "New England" style. Sometime after the seminar I realized exactly what I wanted to brew for jamboree: The United States of IPA! I will brew all three regional variants discussed in the seminar along with a New England IPA. Instead of trying to come up with the craziest recipe, ingredient, or process, I could stay in my wheelhouse and be the "old-school master" that I am. All four beers will be original recipes, no clone brews. By grouping four distinct IPAs to jamboree, grouping them together, attendees will be able to taste the regional differences first hand. It should be a great way to brew and bring "regular" beer and present it in an engaging way people can be excited about. As an added wrinkle the four recipes will all be completely different; none of the beers will have any ingredients in common. There will not be a single malt, hop, or yeast in common. This is partly to account for the regional differences, but primarily it is a way to have fun and use different ingredients. Jamboree is the weekend after Labor Day. To have these done in time I need to get brewing! Audio recordings and PowerPoint slides of the above Homebrew Con seminars are available here to all American Homebrewers Association Members. A SMaSH beer is a beer that has a single malt and a single hop variety. Some styles like Czech Pils are often SMaSH beers, however brewers usually brew SMaSH beers to learn about different flavors. Without specialty malts and numerous hops, it is easier to isolate the flavor contribution of the individual hop and malt. Last year I participated with the North Shore Brewers Single Hop project and brewed a Galaxy IPA. That was a really fun an interesting project to try these new hop varieties side-by-side. One member of the club blended the beers and flavors together to develop a new IPA recipe. If I was smart, I would have tried something like that. This year we decided to do a similar project with different base malts. We really wanted to learn and experience the subtle differences in flavor different base malts would provide. How would the same beer brewed with American 2-row barley taste different than a beer brewed with American Pale Ale malt? What about German Pils malt? English Maris Otter? Now we can do the same side-by-side comparison with these base malts as we did the hops. We were discussing the project on our club's private message board. The initial recipe was for a hoppy American Pale Ale. The concern with that recipe in a project like this is that the hops would obscure the malt flavor. Someone suggested a blonde ale would make sense because blonde ales aren't too hoppy, and don't use a lot of specialty malts. I put together a suggested recipe which the club decided to use. Like Jay Think's He's Weizen, the recipe is adapted from Brewing Classic Styles, co-written by John Palmer and Jamil Zainasheff. I took Jamil's Blonde Ale recipe and removed the small amount of specialty malt from his recipe. I posted an all-grain and an extract recipe. We started talking about the project during the winter. At the time I thought an extract recipe would be good for brewing inside and for comparing different extracts. After each brewer chooses his/her malt or extract, there is only one hop addition at 60 minutes. This should give the beer sufficient bitterness and a low hop flavor, perfect for evaluating just the malt flavor. Initially I bought enough malt for a three gallon batch of Summer Somewhere I was going to brew at home. When I decided to brew a five gallon batch at the club's beer camp, I bought a different malt to brew that five gallon batch. Since I still had the original malt leftover I used it to make a three gallon batch of the blonde ale recipe. I purchased the malt at the Modern Homebrew Emporium in Cambridge. The malt was labeled "UK 2-Row 1.8L". Looking at their website, I think the malt I purchased was Munton's Pale Malt (Propino). The brew day went fairly smoothly. I held my mash as a consistent 152F, was able to use lactic acid to get my mash pH down to 5.2, my pre-boil volume looked to be on the money, and I hit my target gravity. I melted my plastic auto-siphon trying to bottle hot starter wort. Since I couldn't siphon my wort off the break material that settles at the bottom of the boil kettle, I skimmed the hot break off the top top during the hot break. Break material isn't good for the clarity of the finished beer. I also had a really nice cold break when chilling my wort. Somehow I only ended up with a little less than 2.5 gallons in the fermenter. I would have topped off with water to get to my target of three gallons, but I didn't want to water down the beer and have the beer finish too light. I brought the fermenter down to my basement to cool. Unfortunately my basement isn't as cool as I thought it was. After several hours my wort still wasn't at pitching temperature in the mid to high 60s. I had to lug my fermenter all the way up to the third floor and set up a swamp cooler. Initially the water was so cold the wort fell below the optional temperature range of my yeast. It took a day to warm up and for there to be some activity through the airlock. After going almost two months without brewing, this was a good beer to get back into it. I already had all of the ingredients, it is part of a club project, and the recipe was very simple. I have four brews planned for jamboree coming up. I am going to have to be creative in how I brew them and ferment them at the right temperature. If you live in the North Shore area of Massachusetts, check out the North Shore Brewers at www.northshorebrewers.org. The club's next event is July 23.